We need your help!! 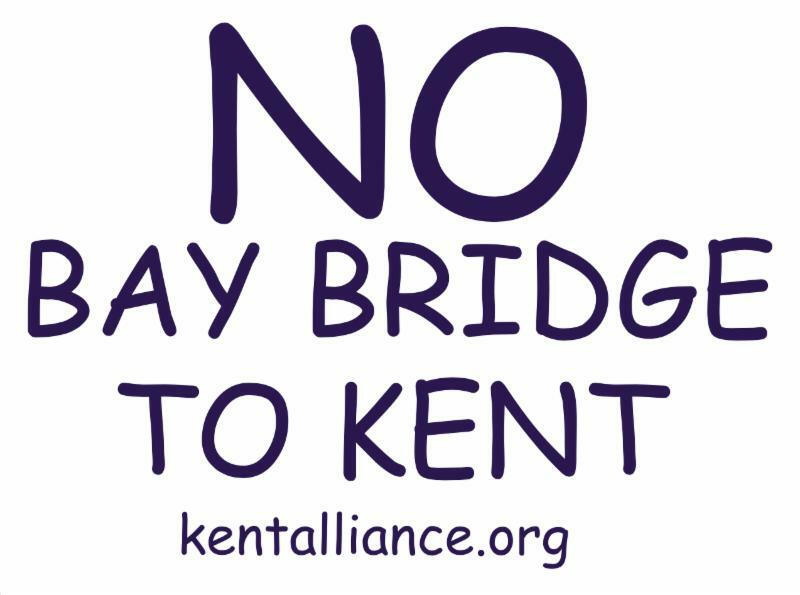 Send a letter to Governor Hogan explaining why Kent County should not be selected as the location for a third Bay Bridge crossing. You may choose from the list of suggested talking points listed belowto assist you in writing your letter. The website limits the length of the letter, so only select one or two topics and personalize. 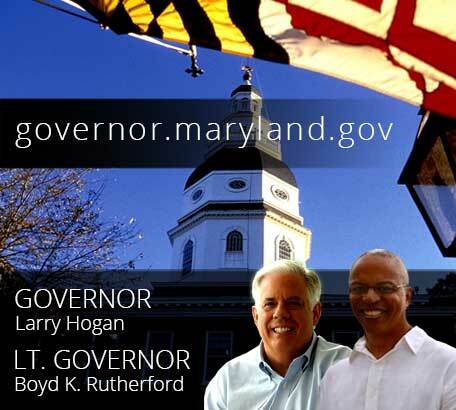 Step 1: Contact the Governor’s office. Step 2: Choose “email,” complete the form, write your letter, and submit. Local control of our county is very important. Our Comprehensive Plan has clearly stated in the last three updates that Kent County opposes a Bay Bridge that terminates on our shore. Protect our prime soils. Seventy-five percent of Kent’s land is in agriculture, with 54% rated as prime. The protective zoning for the ag district has enabled farms to prosper without competing commercial uses eroding away the land mass needed to keep agriculture viable. A bay bridge and approach highways cutting through the county chewing up hundreds of acres of farms would have a devastating impact. Protect open space. Kent County is known for its wide expanses of fields, woodlands, and water views. The state and other organizations have invested millions of dollars to protect farmland, open space, scenic byways, and forests in Kent County. Many of these preserved areas would be in the pathway of any large bridge access highway. Protect fisheries. A major fishery in the Bay would be directly affected should a bridge be built from Baltimore County to Kent. Construction would take 2-3 years, would disrupt the habitat of several species of fish, and impact the livelihood of watermen. Protect our small, beautiful county. Kent County is unique with its historic colonial county seat, quaint villages and towns, open vistas, and tranquil atmosphere. All those characteristics will disappear as Kent will be transformed into a suburb of Baltimore if a third Bay Bridge comes here. Just look at what happened to Kent Island!! The Kent County Commissioners approved and signed a letter to Maryland Attorney General Brian Frosh asking for clarification of Transportation Article 4-407. 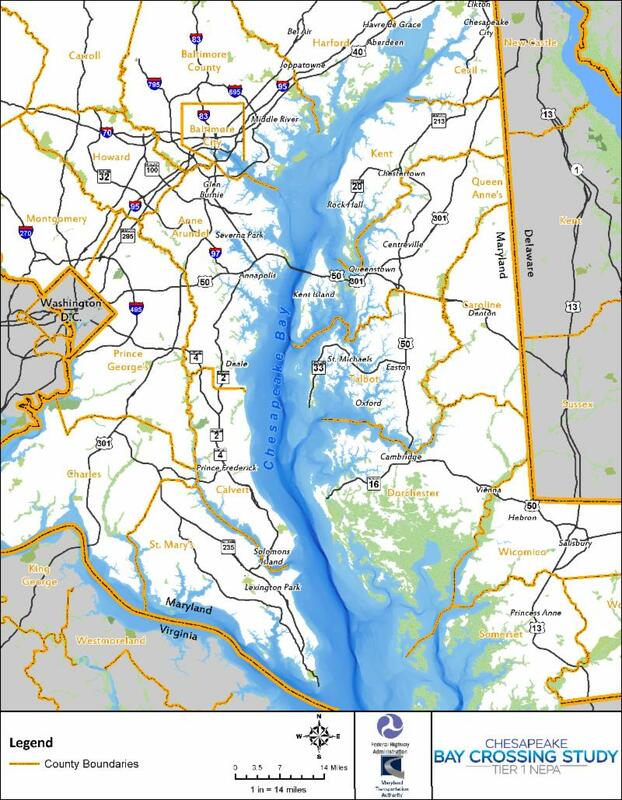 (b) A State agency, including the Maryland Transportation Authority, may not construct any toll road, toll highway, or toll bridge in the counties enumerated in this section without the express consent of a majority of the governments of the affected counties. The interpretation of this law has been universally viewed as needing all nine counties of the Shore to come to a majority consensus for any toll bridge, highway or road on the Eastern Shore. However, the word affected has meaning. An alternative interpretation would be that only the county where the toll bridge or highway were built is affected. Therefore, if a toll bridge terminated in Kent County and there were no toll roads, Kent County would be the affected county and only the majority of its government would need to give express consent. MdTA has failed to state their intent on how they will apply Transportation 4-407. This is central, however, to the efforts to build a Bay Crossing. No matter what the Attorney General decides, this issue certainly deserves to have a legal opinion rendered. The Maryland Transportation Authority (MDTA) has announced the next Public Meeting will take place in Chestertown on May 10th at the Kent County Middle School 6-8 PM. Please put May10th on your calendar. the alternative corridor development and screening process. The Purpose and Need documents will be available on the Bay Crossing Website sometime before the planned meeting date. As soon as they are posted, KCPA will review for pertinent questions and concerns. Look for another newsletter before May 10 devoted to the Public Meeting. Please plan to attend on May 10th so we can share all of our concerns of a Bay Crossing with the MDTA staff. Please plan to attend the Public Service Commission hearing, on PSC Case #9407, to let the Public Utility Law Judge know you support the need for Massey Solar to comply with Kent County’s Forest Conservation Land Use Ordinance. Forest Conservation – Massey Solar shall consult with Kent County to identify mitigation requirements for the Project, consistent with the Kent County Land Use Ordinance Article VI, Section 8 implementing the Forest Conservation Act (FCA). Prior to the start of construction, Massey Solar shall provide documentation to the PSC and PPRP that a Forest Conservation Plan for the Project has been approved by Kent County. Every individual and business that undertakes construction in Kent County requiring a Major Site Plan (greater than 40,000 sq. ft.) must comply with the Forest Conservation Ordinance (FCO). This out of state corporation maintains that because they require a Certificate of Public Convenience and Necessity (CPCN), the PSC should grant them special privileges – an exemption from the FCO – that is not available to everyone else. The Kent County Comprehensive Plan specifically states as a strategy that: Kent County “Retain and expand riparian forest and large forested areas through implementation of forest conservation regulations and education.” The Forest Conservation Act Land Use Ordinance is listed as one of the important ways to achieve this goal. The Watershed Implementation Plan (WIP) on file with the Maryland Department of the Environment uses the FCO of Kent County as one of the best management strategies for reduction of the Total Maximum Daily Load (TMDL). Community Energy Inc. (Massey Solar’s parent company) started the process for this project with the full understanding of the requirements of the Kent County Land Use Ordinance, including the FCO. Community Energy Inc. needs to be a responsible contributing business by either implementation of easements on retained forests, afforestation, reforestation or payment in lieu on their Massey Solar Project.